The Watch App supports all the complications available in watchOS 5, that is to say you can place Sorted3 into any of the available positions in any of the watch faces. Small complication, typically in the top or bottom left of right of the watch face. The number means overdue, the red part of the circle indicates how many tasks have been completed our of today's total. 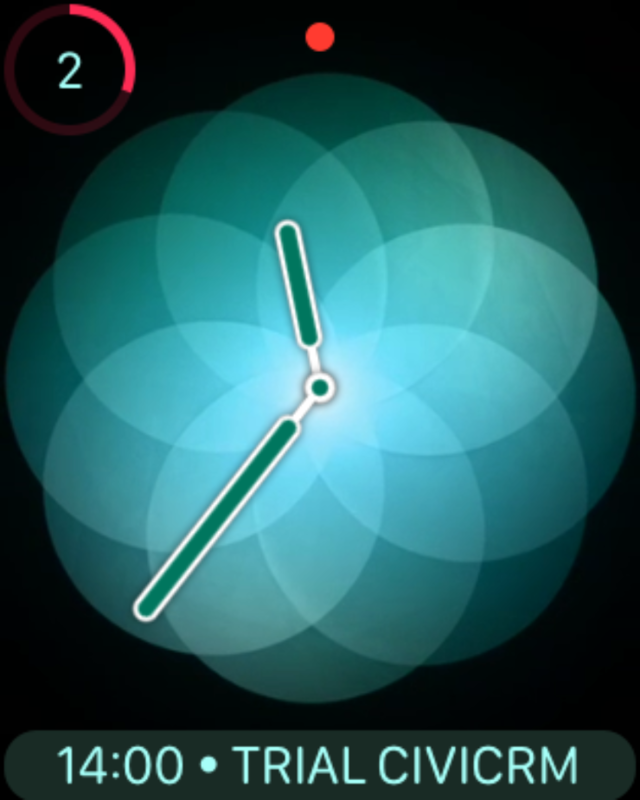 Large complication, typically taking up a whole row on your watch face: this complication shows the time and title of your next timed Task or Event. This screenshot shows the small complication in top left and the large complication at the bottom. Tapping on any complication takes you to the Today Schedule. Note that the Infograph watch face is only available on the Watch Series 4.